After a year or so of searching for a boat, I have finally found her. 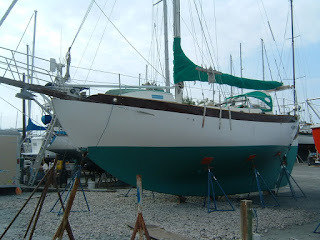 A Westsail 32 in a sad state of affairs down in Florida. This journey has taken me for a couple of years on many hours pouring over the internet, looking at photos and also going to visit them. 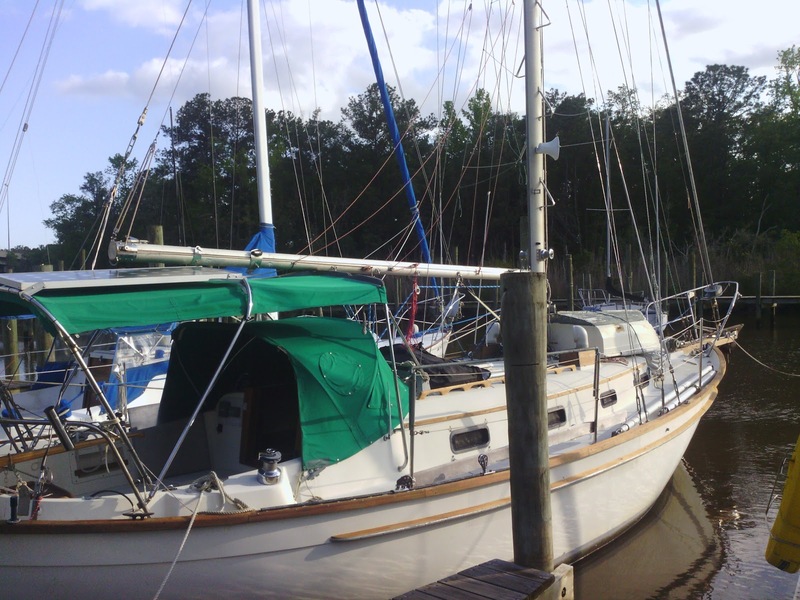 I looked at a real beaut Southern Cross 31 in Mobile Alabama back in April. Unfortunately I didn't understand what I was looking at when I saw her and I passed her up. Here is a photo of her all dressed up with nowhere to go. Not wasted though because she gave me the inspiration of knowing how to setup a cruising boat. I also looked at a westsail with teakdecks that looked like a lot of work and an Allied 36 sloop that had way too much room in her. 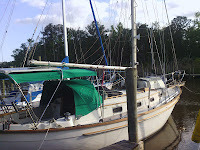 In June I looked a Pacific Seacraft 31 Mariah over in Alabama that was poorly setup and three weeks ago I looked at another Mariah in St Petersburg and a derelict Southern Cross in Carolina Beach. I have a bunch of questions to ask so I have sent my check off to the Westsail organization so that I can ask them on their forum. There are 2 items on the hull that I do not know what their purpose is. I have to research a replacement cap rail made of Fiberglass, plasteak or teak. I have to add handrails to the deck and find a source for stainless carriage bolts. Today I ordered 4 Abus rust free locks with the same key because the companionway lock does not work. The first $32 of many to come.